A self-funded organization, Travel-NEPAL.com (TNC) is one of the pioneer website on Nepal. Established in 1996, we have put together this web site to introduce Nepal to the rest of the world. Enjoy the site and see you soon in Nepal. 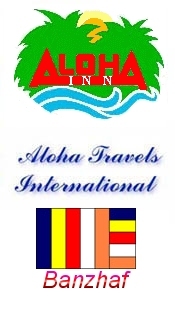 NOTE: We are not a travel agency although we may sound like one. Our presence is strictly in the web only. We neither manage/organize any tours and treks nor sell/book any airline tickets. Sorry.